Harness the power of Google's machine learning capabilities to build a team smarter. Create Gmail account with your domain name – get space of 30GB, ad-free inboxes, easy migration tools along with unlimited groups. 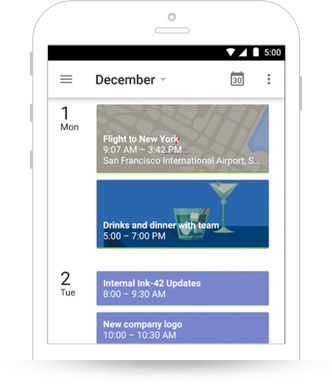 Google calendars intelligence suggests automatically the best possible time and meeting rooms for your team. Gmail, Hangouts and Drive too syncs with it. 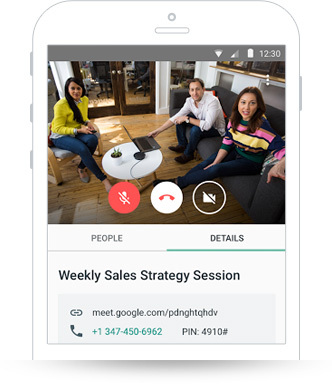 The all-new Google Hangouts comes with a number of enhancements. Now you don’t have to download plug-ins or invite others. You can join and share screen from anywhere even without an account. Google Drive enables you to store all your files Security at one place and access them from anywhere whenever you need. 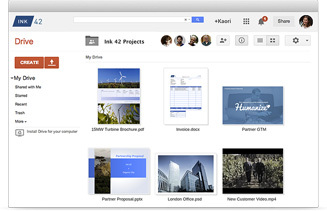 You can also control who can view your files and share them easily with your team. 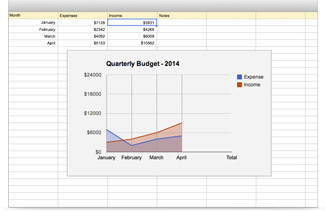 Google all new sheets application allows you to get answers without breaking a sweat. You can get the answers of your questions without any complicated formulas. All you have to do is to simply ask a question and Google’s machine intelligence is there to answer. 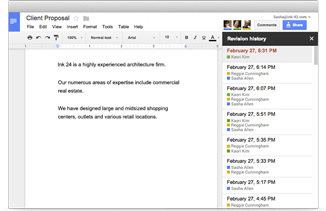 With Google docs you can edit your documents on multiple devices. Advantages like commenting, chatting and real-time editing will surely be beneficial. We aim to be more lenient, so that we can become faster. With Google we are closer to our customers. Q. With G Suite, will I be able to use my existing domain? You can definitely use your existing domain with G suite. Q. When I shift to G Suite what happens with my existing mail, contacts and calendar data? While shifting from another program or website service to G Suite all your and your team’s data from mail, contacts and calendars can be shifted. From a variety of options related to migrating data, you can choose the most suitable depending on your type of data and from which system you are migrating from. For example if you want migrating from Microsoft Exchange, Lotus notes, IMAP servers and Google accounts, tools are readily available. Q. How much space do I get for each email account? 30 GB of space is provided per email account. Q. 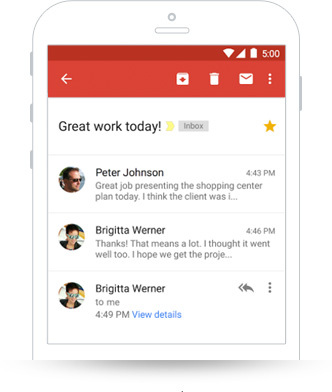 Will G Suite be compatible with the email client I use? Along with accessing the G Suite mail from Gmail website interface, you can interact using your favourite email through your preferred desktop client. You can use anyone from the both IMAP or POP email protocols depending upon the client. For example if you are switching from Outlook services or Microsoft Exchange you can use G Suite link. This plugin is for Outlook 2003 2007, 2010 or 2013, that enables you to use your Outlook alongside managing your G Suite mails, contacts, calendars with your Outlook notes, tasks and journal entries. Q. Which protocols and email clients are supported? Emails can be sent or received by using any desktop based email client like Microsoft Outlook, Outlook Express, Mozilla Thunderbird, Eudora, Entourage 2004, Windows mail and others. We also provide materials on how to configure different email clients for sending and receiving emails. Products for enterprise email supports IMAP, MAPI and POP protocols. Q. From which kind of phones I can access my email? You can access your email from any Smartphone or tablet running any contemporary operating system like iOS, Android, Windows mobile, Symbian and Blackberry OS. Q. With G Suite will I be able to manage multiple domains? If by any chance your organisation makes a new domain name or use multiple domains you will be able to add all them up without any extra cost. Uses will have identities of one or more domains at the same time sharing services from your organisation. Also you will be able to manage all your domain using the same Admin console. You can add a domain either as a separate domain or domain alias which will depend on how you plan to use. Q. From which type of phone will I be able to access my emails? Q. Will I be able to create mailing lists? Creation of mailing list and adding or deleting users selecting moderator restricting people from joining analyst and even banning users are all compatible. Q. What is the SPAM policy? The moment you sign up into your cheese with account you there by automatically agree that you won’t be using the account for sending spam distributing viruses and other abusive services. The same thing goes to all other users on your domain who are too subjected to the same user policy. In the unlikely event if Google identify any user of Jui suit violating the principles and user agreement we reserve the right to ban the user from father usage. And if the problem is even more deep rooted that is domain-wide, we then immediately suspend the entire account and its administrative access to the G suite services. We inform the same by sending a notification to the secondary registered email of the domain administrator. Q. Are auto responders usable? Yes, they are. You can use Gmail vacation responder in order to let others know that you won’t be able to get back right then. If your vacation responder is activated, Gmail will automatically send your replies to people who have emailed you. Yes, your existing G Suit is transferable. While transferring all your email accounts and its data are moved to us from your previous Service provider, keeping the data intact.